Asthma is a chronic lung disease that inflames and narrows the airways in the lungs. In the United States, asthma affects an estimated 26 million people — many of whom aren’t aware that they have it. If you have asthma, the lining of your airways are swollen and inflamed all the time, making your airways more susceptible to irritants. Symptoms may be triggered by exposure to an allergen (such as ragweed, pollen, pet hair or dust mites), irritants in the air (such as smoke, chemical fumes or strong odors) or extreme weather conditions. The majority of people who have asthma also have allergies. In most cases, it is allergies that trigger asthma symptoms or an asthma attack. This “allergic asthma” is the most common form of asthma. 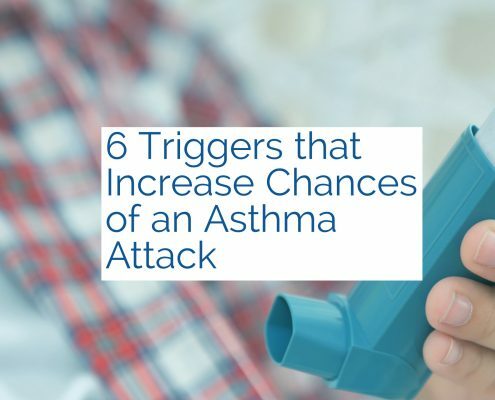 For this reason, allergy skin testing is performed on patients we believe may have asthma to help determine what the triggers. Sometimes a cough that won’t go away is the only symptom. Asthma symptoms often happen at night and in the morning but can happen at any time. If you think you have asthma, you need to be evaluated by a board-certified allergy and asthma specialist. Don’t wait any longer to get a medical diagnosis and an effective treatment plan. If you think you or a family member may suffer from asthma, schedule an appointment right away.